SISTER CLUB: Durham United Sign Up! Durham Women FC are delighted to announce our first Sister Club for the 2017/18 season - Durham United. After launching the Sister Club Programme in July, there has been some great interest from local clubs and Durham United have become the first club to partner up with the Wildcats. Durham United FC were formed in 2012 with three teams and with the aim to create opportunities for people of all ages to play and progress within the game. The club follow the Football Association England DNA/Future Game playing philosophy which outlines a long term player development plan while promoting equal playing time with a provision that every player in a team will get game time to allow everyone to develop. All players get to play and develop at their own speed with an emphasis on fun and learning not a win at all cost mentality. By using this philosophy the club have expanded hugely and have recently affiliated 31 teams with the Durham FA for the 2017/18 season with 300+ club members. They also have 60+ children registered to their girls-only SSE Wildcats sessions of which they get 40 weekly attendees. The Wildcats programme was part funded by the FA and SSE to promote and offer more opportunities for girls to get involved in the game with a tag line of 'have fun, make friends, play football'. A number of the Durham Women FC team came along and took part in their launch event back in April. One of the biggest clubs in the county, Durham United were also awarded the Durham FA Charter Standard Club of the Year Award in 2015. You can find out more about Durham United on Facebook and Twitter. The side will enjoy their Sister Club Day at the FA WSL fixture against Watford Ladies on 8th October, while all their junior players will be able to benefit from free admission to our fixtures, tournaments across the season, player visits and open training sessions as well as much more! 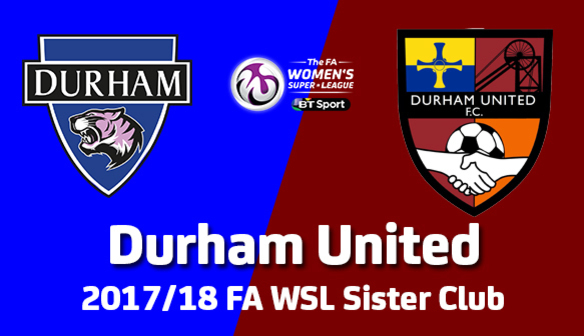 Commenting on their decision to join the Sister Club Programme, Adam Foster of Durham United said: “Durham United are delighted to work with Durham Women FC through the FA WSL Sister Club programme. “The programme looks really exciting and will further support our players technical/tactical and social development. 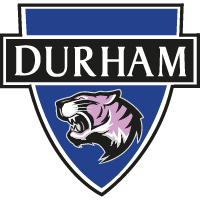 Durham Women Sister Club Programme Officer, Mark Donnelly, added: “We’re delighted to have Durham United on board for the 2017/18 season. “They are a huge club in the area and, having worked with them in the past, we were keen to work with them again once we secured the Sister Club Programme.